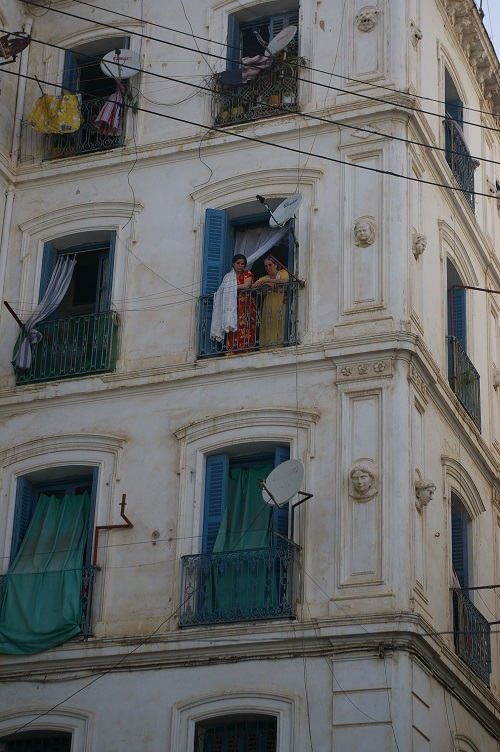 “A deceptively lovely city,” a friend tells when I share the news of our impending journey to Algiers with her. It almost sounds like a warning. 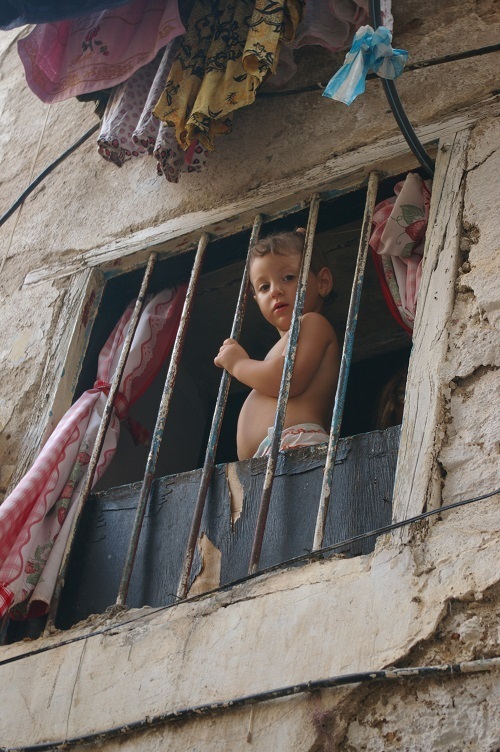 “Is it safe?” My mother wants to know, remembering the horrors of the 1990s, the Dark Decade of the Algerian Civil War. I assure her that the nation’s troubled past is over. The Bradt guide to Algeria we bought for the trip is adamant: in spite of recent political tensions in the region of Kabylie, terrorist activities in the country are “under control”. In July, my husband André and I were invited to attend the second Panaf (Pan-African Festival), organised by the Algerian Ministry of Culture to commemorate the 40th anniversary of the first Panaf in 1969. Thousands of artists from all over Africa and the rest of the world descended on the White City, as the vibrant capital of Algeria is known. The origin of the name becomes immediately clear: the dominantly white architecture of Algiers’ colonial past is almost blinding in the shimmering heat of the summer afternoon on which we arrive in the city. At the airport, we are greeted by a troop of masked officials distributing pamphlets about swine flu, and then the welcoming figure of Madame Tabbech from the Ministry. Together, we make our way through the dense traffic of Algiers (a trademark of the city, soon to be alleviated by an underground railway system) to our hotel. 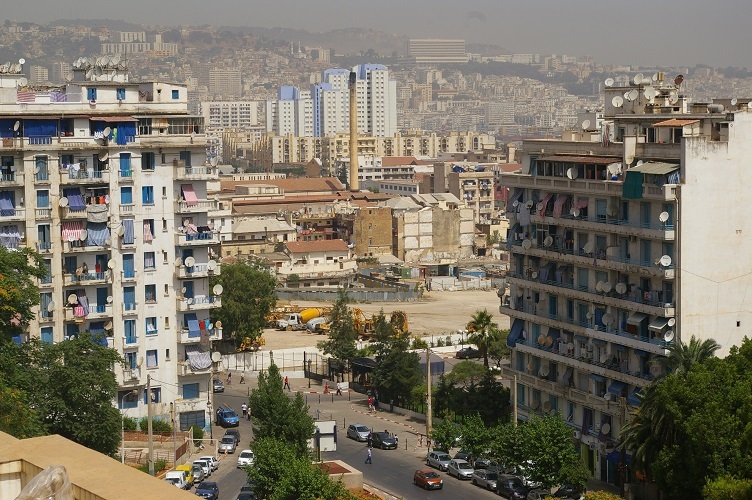 At first glance, Algiers seems like a huge building site, modern residential and commercial edifices sprouting from every possible piece of the parched land. All roads are flanked by Algerian and Cuban flags; Raúl Castro is on a state visit, we are told. Two days later, the flags disappear and one’s eyes are drawn to more permanent features of the capital: characteristic blue window and door shutters; fancy iron balconies, also in blue; and innumerable satellite dishes attached to every building, an army of ears tuned in to the outside world. My favourite though are ceramic mosaics of all sizes, adorning many architectural structures in the city. Ornamental mosaics define the magnificent interior of Hotel El Djazair, formerly Hotel St George. Entering the hotel and its lush garden is like emerging into the world of One Thousand and One Nights. Founded at the end of the nineteenth century, the renowned hotel has been a home to such distinguished visitors as Rudyard Kipling, Sir Winston Churchill, or André Gide, and a witness to major historic events: General Dwight D. Eisenhower maintained his headquarters here for a year during the Second World War. The hotel’s restaurant delights not only with delicious local cuisine, but also with a few wonderful English translations of some of its dishes. Our top two: “Ring of Leg Painful Garlic Sauce” and “Burn Taste Cream in Vanilla”. The unintended humour goes well with the fabulous food. 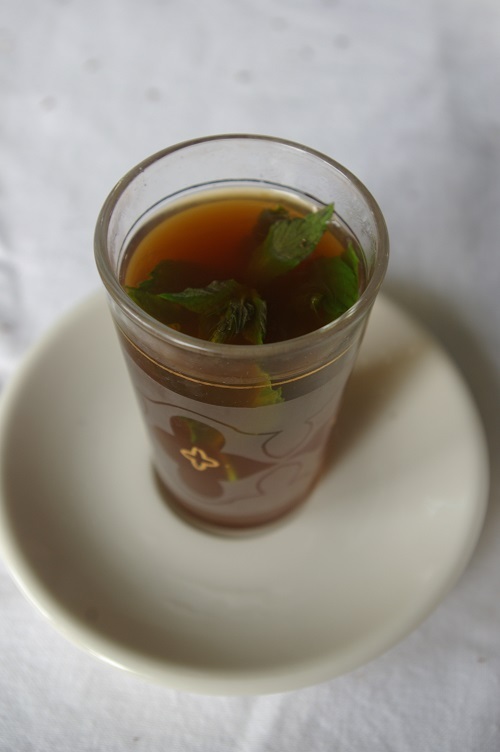 I can’t get enough of the tasty chorba frik (traditional soup with lamb and bulgur wheat) and the strong, refreshing green mint tea, served with fresh mint leaves in small fancy glasses. I obtain the surprisingly intricate recipes for both from Madam Tabbech. Alcohol is rarely seen on Algeria’s tables (the majority of the people are Muslims), but the few local wines we have an opportunity to taste can be highly recommended, especially the rosés. 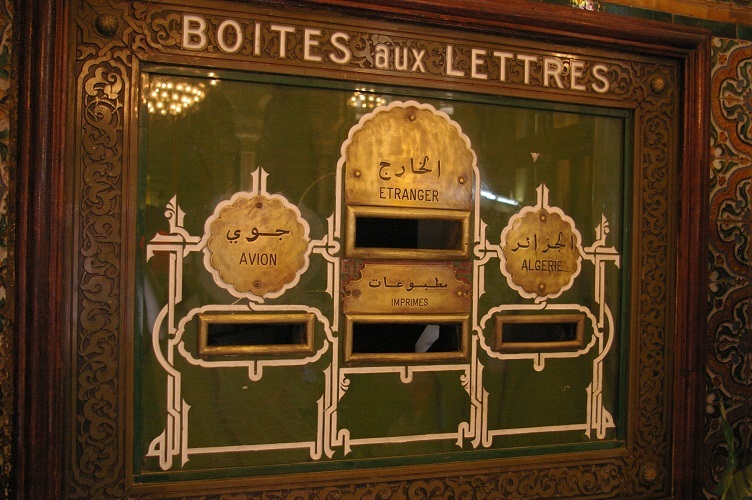 Algiers does not boast many restaurants, the ones which exist are mostly traditional. Instead, local fast food places abound, but we haven’t glimpsed a single McDonald’s or KFC. Moreover, other forms of infrastructure geared specifically towards foreign tourists do not become apparent during our stay. This is not to say that tourists are not welcome or that there is nothing to be seen. On the contrary. But one has the impression that the bounty of Algerian cultural heritage is preserved and showed off primarily for the benefit of Algerians. In this respect it seems that the Panaf is meant to open up new possibilities for this intriguing country. 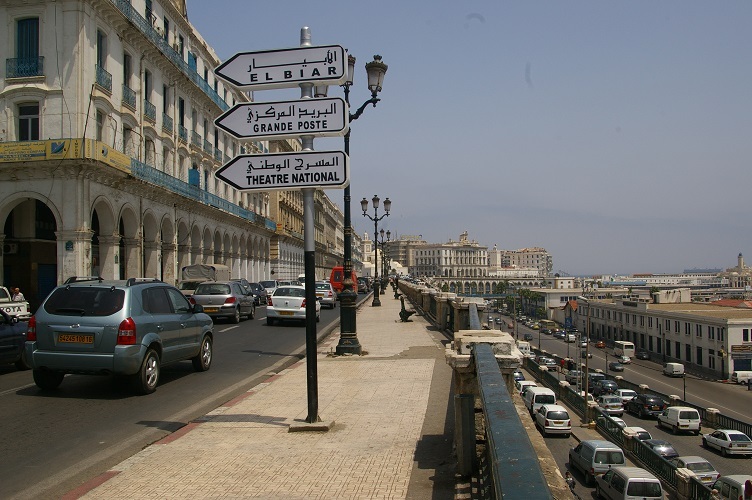 Visitors to Algiers are offered plenty of sightseeing opportunities. One of the most formidable is the enormous Monument (Makham ech chaid) which towers over the entire cityscape, paying tribute to the martyrs who died in the war of independence from France (1954-1962). The view from the Monument over the city is breathtaking; its presence constantly reminds of French colonisation and the brutal conflict by which it ended. In contrast, the traces of one of Algeria’s most famous sons, Albert Camus (the 1957 recipient of the Nobel Prize for Literature), have been nearly obliterated in the city precisely because of his ambivalent stance during the Algerian War of Independence. Today, perceived by many as a traitor to the cause, Camus is nearly invisible in Algiers where he lived for a considerable period. It is by pure chance that we meet somebody who can point out to us the grammar school he attended with Camus and the building where the author lived in a flat in the district of Belcourt. But uncertainty persists, since no plaque indicates that we have been to the right place, and opinions differ among the Algerians we meet – most of whom view Camusians with scepticism. No matter, it is still an uncanny treat to read Camus’ The Outsider during our visit and to roam in the same streets as its characters. Or to be reminded of the work of Mohammed Moulessehoul, an ex-officer of the Algerian army who broke many silences in his novels written under the protective penname Yasmina Khadra. Or to be told that Jacques Derrida, the founder of deconstruction whom most believe to have been French, was not only born in Algeria but spent his youth near its capital. 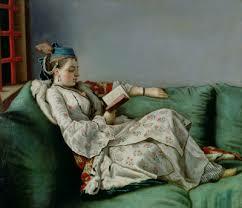 The unbearably hot July afternoons in Algiers are perfect for rest and reading. Only once do we attempt to brave the noon heat and the notorious traffic to visit the Catholic basilica of Notre Dame d’Afrique, but both remain impenetrable on the given day and we are forced to turn around halfway, glimpsing the imposing basilica only from the distance. I was eager to see its majestic statue of a Black Madonna and the fascinating inscription above, “Our Lady of Africa, pray for us and for the Muslims”, which, as Madame Tabbech proudly explains, encapsulates the cosmopolitan and tolerant nature of Algeria’s society today. Strolling through the streets of Algiers one has the feeling of walking through the entire world. Nowhere else have I seen people of so many diverse cultural backgrounds come together to coexist in one society. Reflected in anatomy, fashion, language, cuisine, religious practices, the differences are unmistakable and yet there is something about the ease with which one encounters others that is less obviously marked by tension, despite decades of conflict. Our stay is too short to explore the reality or illusion of this relaxed atmosphere. Because of the Panaf, there is also an unusually high police and military presence in the city and its surroundings, marring the perception, but it is a remarkable experience nevertheless. For the duration of the Panaf, Algiers is also home to Lucy. The estimated 3.2-million-year-old remains of an Australopithecus afarensis discovered in Ethiopia in 1974 are on display in the Bardo Museum. The permanent ethnographic exhibitions of the museum, housed in an impressive Ottoman building, highlight the riches of Algeria’s regional costumes and jewellery. Located up the hill from the botanical gardens of the Jardin d’Essai du Hamma where supposedly the first Tarzan film was shot in the late 1940s, the Museum of Fine Arts offers a diverse collection of paintings, sculptures and ceramics, including one of my favourite paintings of a woman reading, Jean-Etienne Liotard’s portrait of Marie Adelaïde of France. Visitors interested in modern art will enjoy the MAMA (Modern Art Museum of Algiers), with its ornamental interior design and vast exhibition spaces displaying, at the time of our visit, some of Africa’s most prominent artists, among them the Algerian painter Choukri Mesli and South African photographers Lien Botha and Peter McKenzie. I still have the old-fashioned habit of sending postcards when I travel. In Algiers, the experience is especially gratifying. The interior design of the main post office building is a feat of architectural splendour. 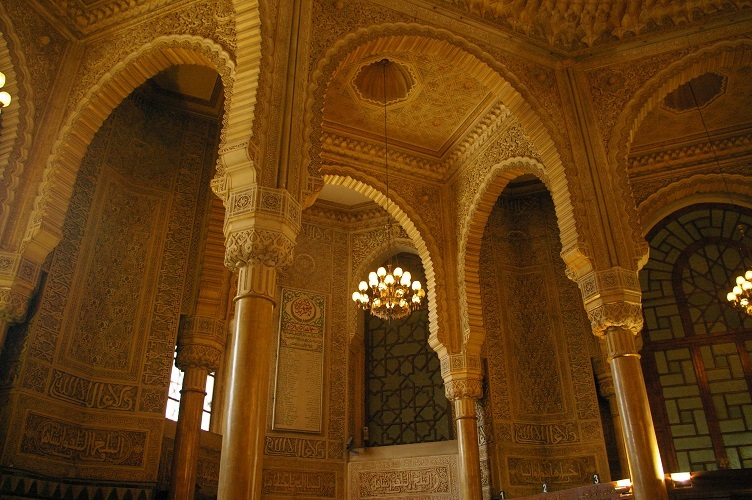 We were dazzled by the cathedral-like ornamental columns and vaults of the interior, shining as if coated with gold. The images on my postcards capture scenes from Algiers’ most mysterious district, the Casbah, the definite highlight of our Algerian trip. Warned by our guidebook not to attempt a visit without an expert guide, we are fortunate to be accompanied by Kamel Righi on our excursion to the area. Righi, a young architect born in the Casbah, returned to his birthplace to work with the UNESCO in restoring the wonders of the ancient district. In spite of its dark narrow alleys, crumbling buildings, endless litter and penetrating odours, the area has an irresistible charm that is difficult to grasp. There is an element of magic in the quickly vanishing shadows of people and cats making their way through the winding passageways, in the colourful intricately decorated doors behind which veiled women disappear with bulky shopping bags, in the little workshops attended to by toothless men drinking from tiny cups of coffee, or in the laughter of children playing with marbles in these crowded spaces. The entire district seems to be in a state of decay, but it has many surprises in store for lucky visitors. 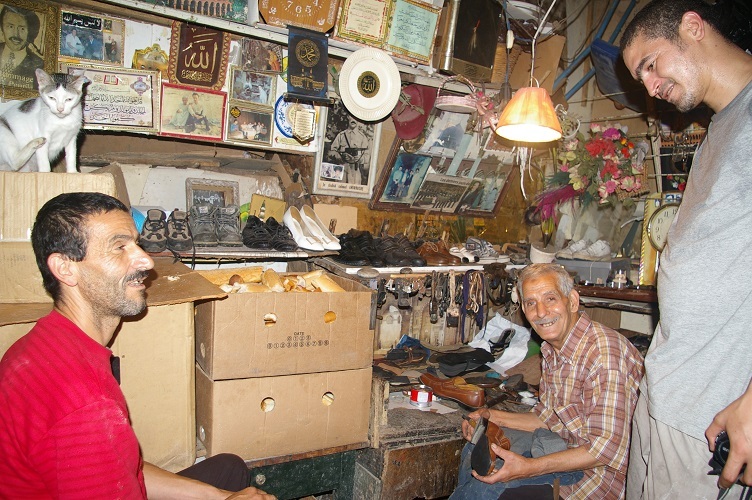 A cobbler insists we inspect his tiny workshop where there is not enough space for all of us to stand in or even to stand up. We are invited to enter one of the houses at the end of a dilapidated alley. Behind the heavy ornate door is a small two-storey arcade courtyard, the flats around it home to an extended family. The interior surprises with its cleanness and excellent state of repair. Near the central market place, an elderly Italian who settled in Algiers decades ago proudly displays the ceramic mosaic he’s creating for his beloved wife. The Casbah is the oldest part of the city. Draped over the hill like a densely woven oriental carpet, it is mostly a residential area, dotted with architectural and historical gems of interest: palaces turned museums, synagogues turned mosques. The Citadelle at the very top, currently under renovation, offers spectacular views of the modern city and coastline below, with dozens of ships cruising its busy harbour. Nowhere do the different facets of Algiers become as apparent as here. During the colonial period, the French intersected the Casbah with parallel streets of typical white and blue in an attempt to infiltrate and destroy the local structures. The district, like the rest of Algiers, persists in its own ways, assimilating the historical forces at work within and around it. This endurance might be the most striking element of the “deceptive loveliness” of Algiers my friend cautioned me about. First published in the Sunday Independent, 4 October 2009. This entry was posted in Memories, What I've Written and tagged Albert Camus, Algeria, Algerian Civil War, Algerian painter, Algerian War of Independence, Algiers, André Gide, Australopithecus afarensis, Bardo Museum, Belcourt, Black Madonna, blue, botanical gardens, Bradt guide, Camusians, Casbah, Catholic basilica, chorba frik, Choukri Mesli, Citadelle, colour blue, Dark Decade, Dwight D. Eisenhower, Ethiopia, first Tarzan film, green mint tea, headquarters, Hotel El Djazair, Hotel St George, Jacques Derrida, Jardin d’Essai du Hamma, Jean-Etienne Liotard, jewellery, Kabylie, Kamel Righi, Karina M. Szczurek, Karina Mag, Karina Szczurek, Lien Botha, local cuisine, Lucy, Makham ech chaid, MAMA, Marie Adelaïde of France, Modern Art Museum of Algiers, Mohammed Moulessehoul, monument, mosques, Museum of Fine Arts, museums, Nobel Prize for Literature, Notre Dame d’Afrique, One Thousand and One Nights, Ottoman building, Pan-African Festival, Panaf, Panaf 1969, penname, Peter McKenzie, portrait, postcards, Raúl Castro, regional costumes, rosé wine, Rudyard Kipling, Second World War, Sir Winston Churchill, South African photographer, state visit, Sunday Independent, synagogues, The Outsider, tourists, traffic, typical white and blue, UNESCO, Yasmina Khadra on September 28, 2014 by Karina.